Google Twins, Googlegangers - the trend of meeting namesakes is growing! More and more people seem to be becoming aware of namesakes and are actively seeking them out, spawning new Google nouns and interesting online activity. The crowd at Watford Football Club used to sing 'There's only one Graham Taylor', however a quick internet search would have revealed another one that does pottery in Lesotho! It is not just getting easier to search for like named people (though Facebook really need to improve their Search mechanism), but it is also getting easier to stumble across them too. The Google Alerts service is also inadvertently encouraging the trend of following name sakes. Setting up a Google Alert on your own name means Google email you a link every time you are mentioned on the web. This provides a rich source of information, not only about yourself but also about your namesakes as it is not yet able to filter information to specific personal level - someone recently told me how he is unwittingly following the career of a Manchester boxer because they share the same name and Google Alerts send him regular updates! Whilst in the US this idea has been revisited with the new book / film "Finding Angela Shelton" which features a writer named Angela Shelton describing her meetings with 40 other Angela Sheltons. 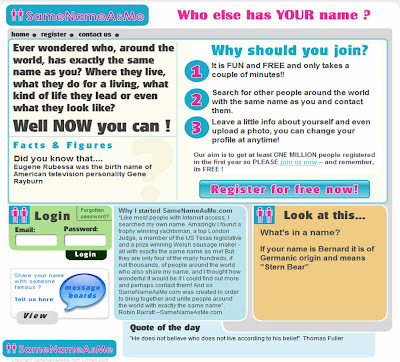 The trend for seeking out / contacting namesakes seems to be growing and has even spawned new phrases such as 'Google twins' or Googlegängers (a term that was the American Dialect Society's "most creative" word last year) . Bloggers blog about their namesakes and there is evidence all over the internet of people meeting others who share the same name. Sites like SameNameAsMe have appeared and Facebook groups such as 'people called Wilding' are gathering same named people together. Uli Selzer from Toyota advocates the idea of the 'power of tribes' where people are using the internet to form groups around common interest rather than through geography, and the grouping of people where the only thing they have in common is the same name is a great example of this in action. Personally I think the seeking out of Googlegangers is an interesting development as it highlights that Search is more than just utility, it can be used for leisure too (and I assume this is to the detriment of other media channels.) Whilst the web continues to evolve into a semantic web (which seeks to better understand the purpose of a users enquiry), I guess it will be a while before an algorithm can accurately capture user intent around random activities such as seeking out 'Google Twins'! I thought there was an irony in that the other Nick Burcher owns a fish restaurant in Rock Creek, however I think a singing cowboy Googleganger is going to be hard to beat! if I ever need a loft converting I know who I'd ask to do it. 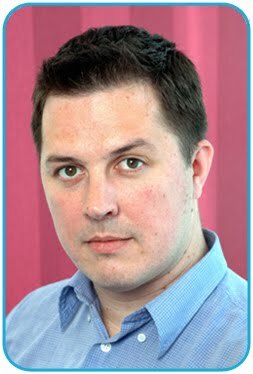 Don't know if my memory is playing tricks on me but I don't think Dave Gorman used Google to find his other Dave Gormans did he? Certainly not originally. There was something magical about his journey from person to person via Daves knowing other Daves that would have been lost if he'd just googled "dave gorman". 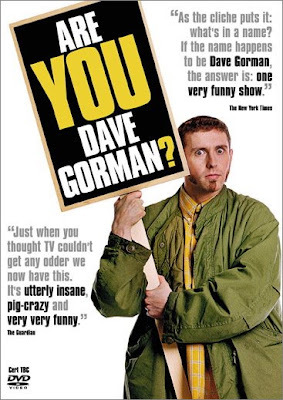 Dave Gorman's quest was long before Google rose to prominence. I distinctly remember him having to create things like 'Gorman specific' phone directories and the like to track down his namesakes! Even though his quest was much harder, it is still rewarding to hear back from your Googleganger. In response to my initial contact, I received an email last night 'to Nick Burcher' (me), from one of the other Nick Burcher's (residing in California). Even though it was remarkably easy to find him and get in touch, reading the response I got was a strangely moving experience. I would recommend speaking to your loft conversion contact and think Stephen should definitely email the singing cowboy!!! !